Some of the toughest decisions for a fund manager these days don't always involve shares and bonds. Increased regulation and growing client demands are contributing to the rising costs of operating an asset management organisation. In fact, the term buy vs. build vs. outsource is becoming a more common industry term than short or arbitrage. Middle and back office systems are catching up to the advancements that traders have enjoyed using through the years. But they come at a cost, which is why operations officers and information technology managers are rising to prominence at many funds. The problem is that, even though your portfolio managers can make some amazing trades on the front end, your operations could be killing your fund on costs. This is where new systems come into play. But before integration can happen, you need to pick the right one, or in some cases, a few of them. And this is where you get to find out if you hired the right operations and IT representatives for your organisation. Do we need a proprietary or existing system? Which one benefits the fund the most at the best cost? Do you pay more to get more features? How long is the integration process? What type of upgrade and maintenance is involved and how time consuming is it for my resources? How will it interact with my current systems? Can I trust the company I outsource to? Suddenly, the question of where to invest your clients' money seems like child's play. These are not easy questions and the answers are not always straightforward and clear cut, but these are conversations that funds are having often at the executive level. The plus side of all of this is that funds have choices these days. The market for middle and back office software and services is competitive and growing. 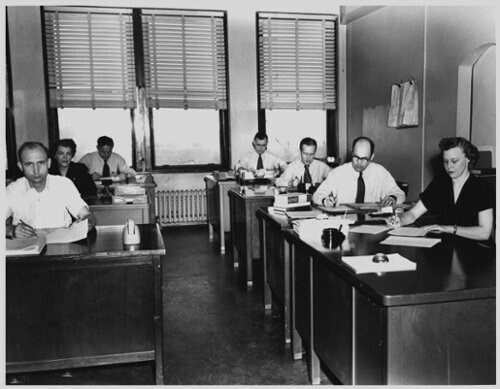 It's not just the trading desks and portfolio managers that are getting all the neat technology to run their departments while the rest of the organisation is stuck in the 1950's. The point is that, fund style and strategy may not be the deal breaker for which funds out last their competition. So, look at the entire market, have plenty of in-depth discussions, and choose wisely. The Fund Management Operations Summit is taking place on the 20th November at 200 Aldersgate, London, and will feature leading Heads of Operations from fund and asset managers, not just from Europe but Worldwide. To learn more about speaking at, sponsoring or exhibiting at the event, get in touch with me at noelhillmann@clearpathanalysis.com or by calling +44 (0) 207 688 8511. Also part of our Fund Management Operations series of Reports and Events, are our third annual Fund Technology, Data & Administrator Operations, APAC report to be released on the 1st October and the fifth annual Fund Technology, Data & Operations, North America opinion report, to be released on the 3rd December. Get in touch to learn more.